Flying back into Mumbai from Cochin I was dreading the inevitably annoying taxi experience we would have. 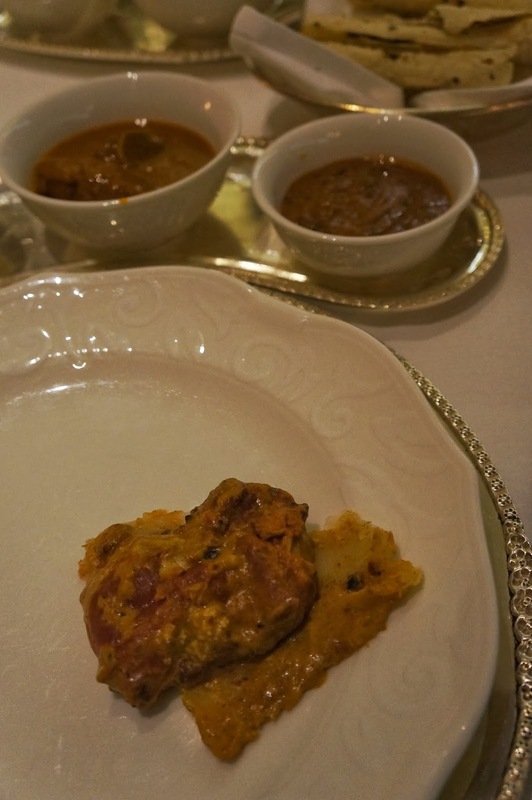 We were headed to the hotel ITC Maratha for our dinner at Dum Pukht, a restaurant that specialises in the eponymous refined style of cooking food at low temperatures and longer durations in containers sealed with dough. Even though we went with the safe route of the prepaid counter, dealing with the taxi driver was reliably frustrating as they initially put our suitcase on the roof rack without tying it up, and then the driver had a friend come along for 'baggage' service - aka getting a tip for doing nothing. Arriving in our beat up yellow and black taxi at the luxury hotel was a comically out of place juxtaposition that you may find in a Wes Anderson movie In spite of probably looking a bit out of place next to all the private cars, the hotel staff were lovely, and after scanning our bags through their strict security assisted us as we headed to Dum Pukht for our meal. 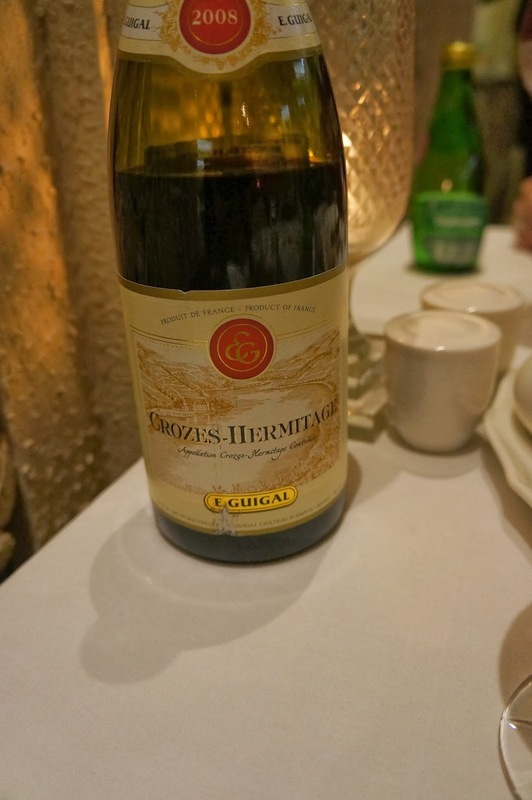 When we arrived it seemed that in spite of a confirmation email that my reservation had not been recorded, however given that they were not particularly busy we were seated immediately in the restaurant's opulent dining room. 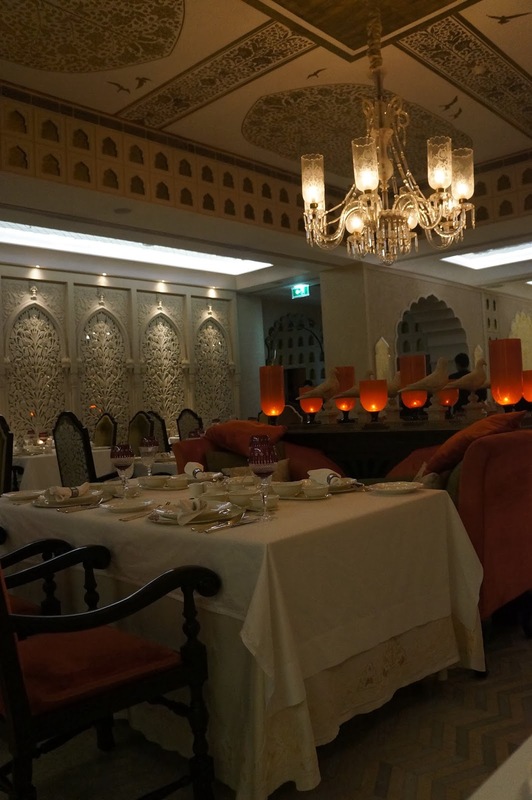 Having eaten here 4 years ago, the restaurant had had a serious refit in the interim and really looked like a restaurant fit for Indian royalty from a bygone era. 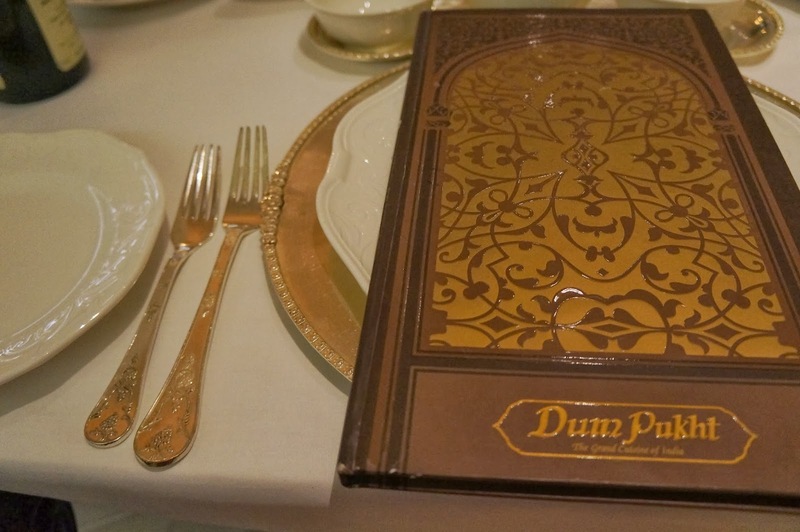 By far, Dum Pukht had the best décor of any restaurant we ate at in India. Our waiter Ashok initially gave us the a la carte menu, but also gave us the option of a complimentary meal if we bought a very expensive bottle of wine (not something I was interested in) and also a set dinner featuring many of their signature dishes. Seeing their famous Dum Biryani on the menu, we decided that the non-veg multi-course set dinner was the way to go, along with a bottle of French Syrah. 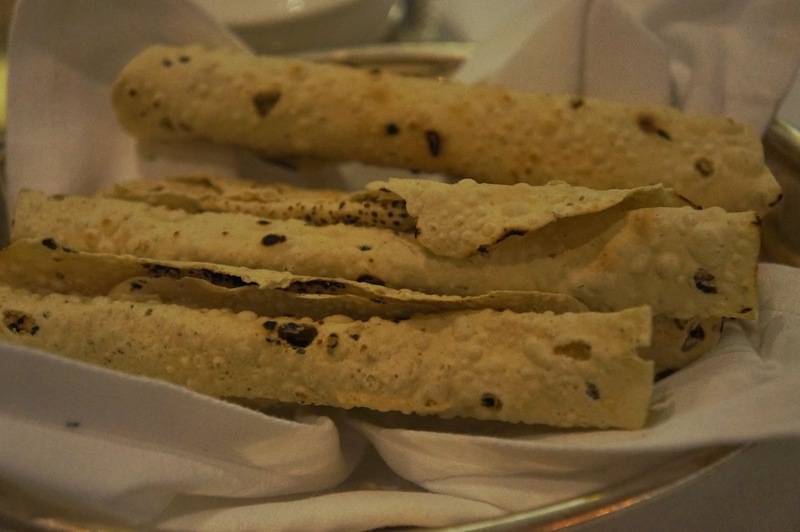 Instead of the obligatory bread of other more European fine dining establishments, we were served some tube shaped papads. Though the presentation was very interesting it was not exactly surprising in terms of flavour – about what I would expect for a good papad. Our starter was a kabab taster consisting of Murgh Chandi Tikka (chicken) and Dum Pukht Kakori (lamb). 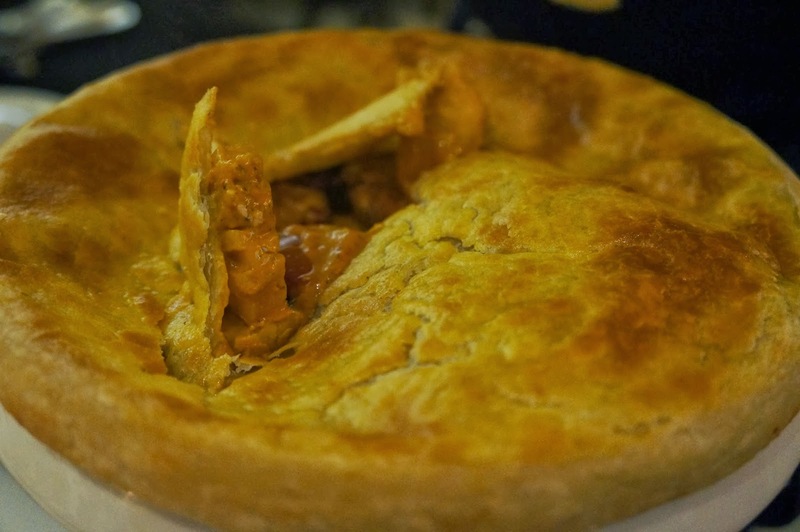 The chicken was delicious and incredibly soft – completely different to the spicier style more commonly encountered. This tikka used a 'royal' cumin marinade resulting in a lighter, more refined dish. Still, as good as this was, it was no where near as amazing as the lamb. A signature dish of the restaurant's, the lamb was described as 'melt in your mouth' - though this was an understatement. Just touching the kabab with a knife was enough to cut it, and it was easily the smoothest lamb mince I've ever eaten, spiced wonderfully with cloves, cinnamon and saffron. We wondered how on earth they managed to remove the meat from the skewers as the softness would have been a difficult challenge even for the most careful of chefs. Ashok explained that once there was a king who loved eating lamb kababs, however as he had no teeth he commanded his royal kitchen to make lamb mince so soft he could eat it without chewing. This was the dish they created. After our excellent lunch at East Indies, it seemed like we'd struck gold yet again. Our main was served in two courses. 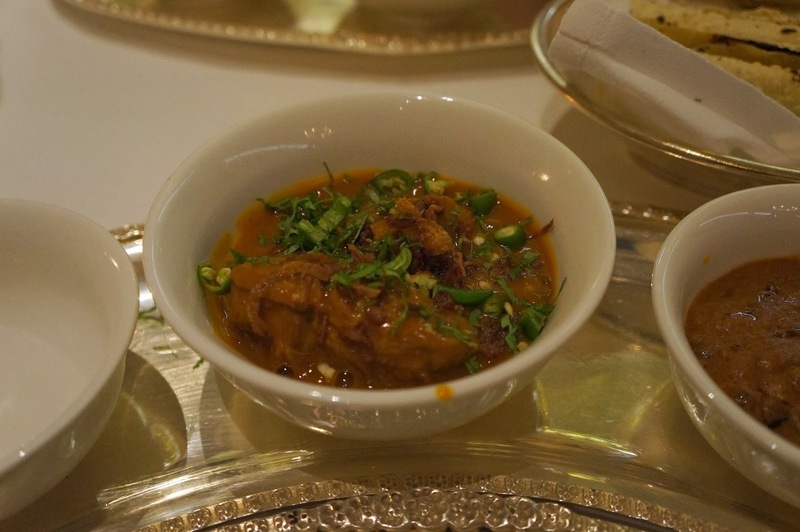 The first was a trio of curries – the dum cooked Murgh Khushk Purdah (chicken), Shahi Nehari (lamb) and Maash Qaliya (moong bean). All three were excellent in their own right but the real standout was again the amazing lamb. Cooked overnight, the lamb curry was 'assimilated' (whatever that means) with extract of basmatti in milk with almond paste. It was so smooth it looked like the smoothest gravy known to man, with most refined spiciness. 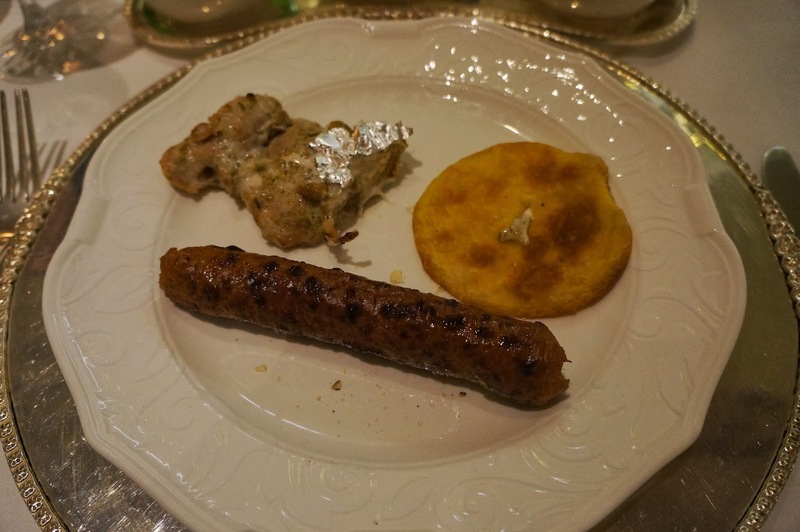 This was served with a a basket of roti. The naan was more restrained than the over the top variety at Trishna, and though it would have been inappropriate in this setting we felt we preferred Trishna's naan. The paratha on the other hand was easily the best paratha we had in our trip – lovely layers of cooked dough that outclassed every parotta we had in Kerala. Possibly the best I've ever had. There was so much curry, that even with an additional scoop of chicken and lamb to our bowls there would have been over half a bowl of each curry left when we decided to move onto the rice, so if you're a bigger eater than we are you can really fill up at this stage of the evening. But please please please leave some space for what would have to be one of the best biryanis you'll ever eat. 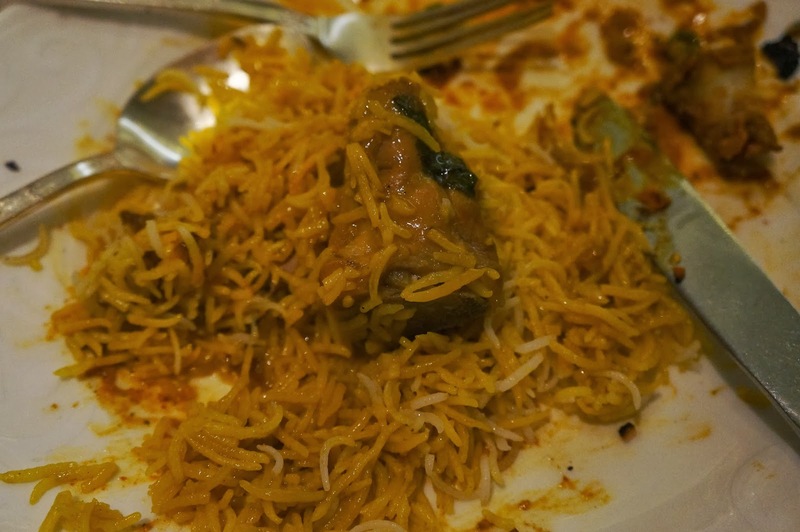 Due to the slow cooking method and the more restrained spiciness of the dum pukht cooking method, the rice in the signature Dum Biryani has a very different texture to any other biryani I've ever had. Where most rice holds together in clumps to some extent, each grain could almost been eaten one by one – this is the most perfectly cooked rice. Having been basically slowly steamed in its own juices while sealed in its cooking vessel, the rice is incredibly flavoursome while maintaining the refined elegance of fine dining. I'd usually choose naan over biryani, but I'll make an exception for this Dum Biryani. We took a bit of a break after the rice, and then moved onto dessert. 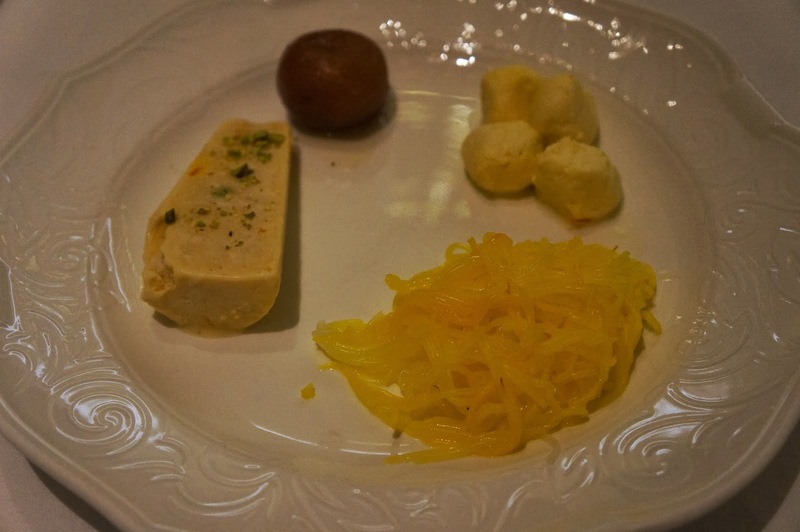 We were served a quartet of Indian sweets – Gulab Jamun, Ras Malai, Saffron Falooda noodles and Saffron and Pistachio Kulfi. All we perfect examples of these Indian sweets, with the Gulab Jamun and Ras Malai being very traditional and the other two dishes being opulent versions of the classics thanks to the addition of saffron. 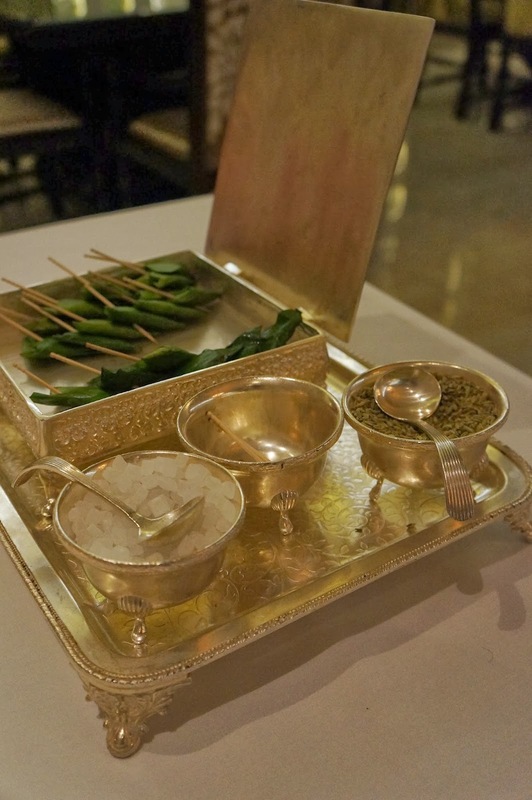 To finish, we were served a tray of non-tobacco paan as a freshener. If you're not staying at ITC Maratha, getting to Dum Pukht can be a little inconvenient – especially if you're staying in the Fort area. That means the best time to go is on the way to or from the airport, and we found going to Fort from ITC was expensively jacked up in price because of the assumption we must have had some money to have eaten there. Still, in spite of all the inconvenience I can thoroughly recommend the food at Dum Pukht as being truly exceptional examples of Indian cuisine at its more refined, elegant and opulent. There is another Dum Pukht in Delhi that I have on good authority is even better than in Mumbai, being the best restaurant in India on the S. Pellegrino list. Regardless, if you're in either city Dum Pukht should be required eating.